My laptop is getting a bit old (bought back in 2011), but the processor and memory is still good. What I would like to upgrade is my graphic card. Now, I was thinking putting something as powerfull as Nvidia 1060-1080 on it. I do not know if this is compatible? Does anyone have any info on how can I upgrade my graphic card on this setup? This is the 17XR3, this system is not compatible with the Alienware Graphics Amplifier. Officially supported the highest card you can get will be the GTX 580m and unofficially it will be the GTX880m. Unofficially, the m17xR3 can support up to a GTX 880m. The GTX 900m series doesn't work in the m17x R3. Hi, Game7a1 and Alienware -Eimy, please describe unofficially? Yeah you have 50/50 chance of burning your laptop to a crisp? Because, as far as I undestand, GTX 560m is running on 75W, while the 800s should be running on 100W. That means that i need a different heat sink or something? No, it means that Alienware didn't test it, but community members did. It is likely that you'll have to change the heatsink for the new GPU. And I'll recommend you get the GTX 780m as the GTX 880m is just an overclocked GTX 780m with some... technical problems. 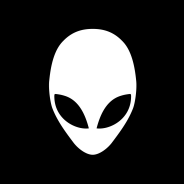 I suggest you go the notebookreview's Alienware forum (the m17x subsection) to find full details on how to perform the upgrade.